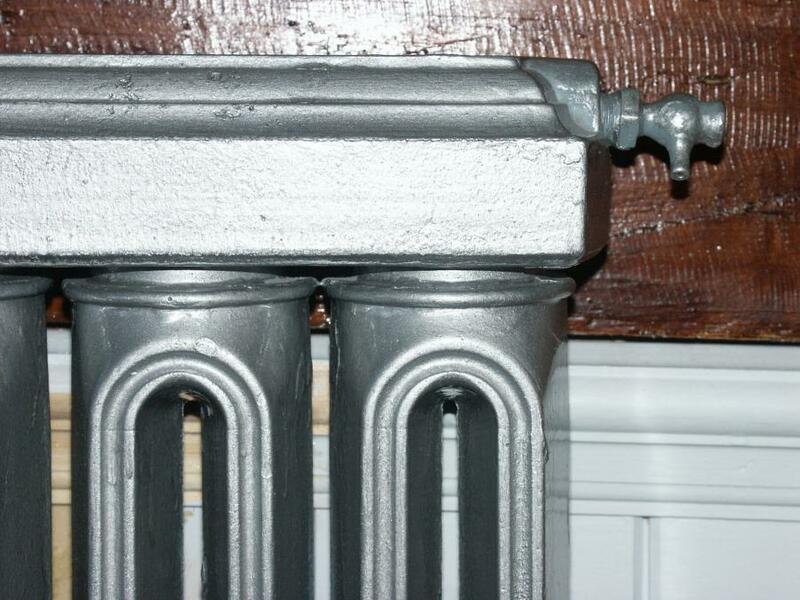 Early cast iron radiators nicknamed roman column by some.They date from circa 1895.Most with plaques on top with the plumbers/retailers name on-these say H Harvey Dukinfield.They also read at the bottom Patd 1895. 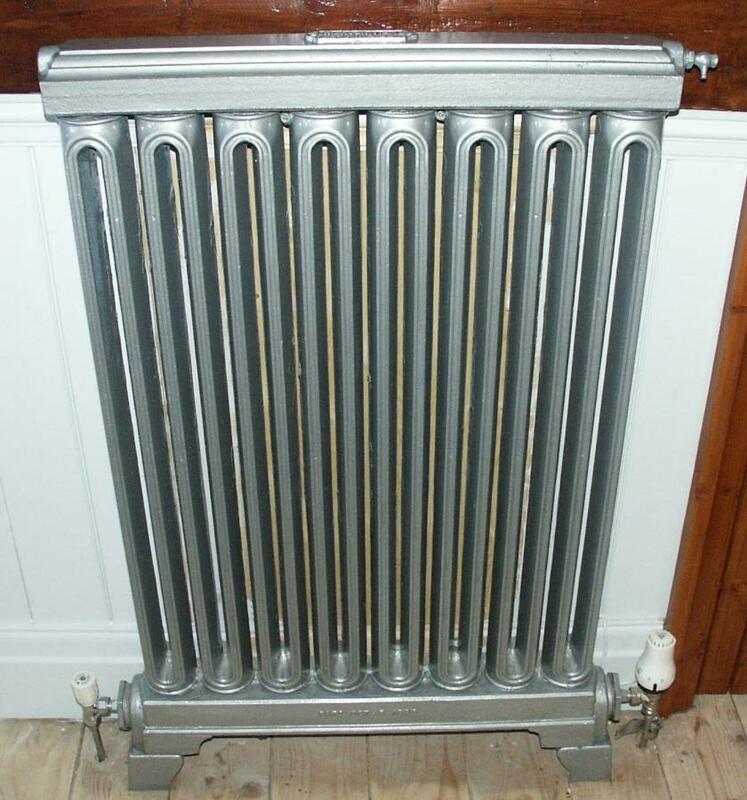 They can be successfully adapted for use in the home-one picture shows a 38 inch tall one being in a customers bathroom.I also have a good quantity of 26 inch tall ones,36/38 tall ones and a few 30" tall ones and one or two approx 21" tall.Not all have stands. 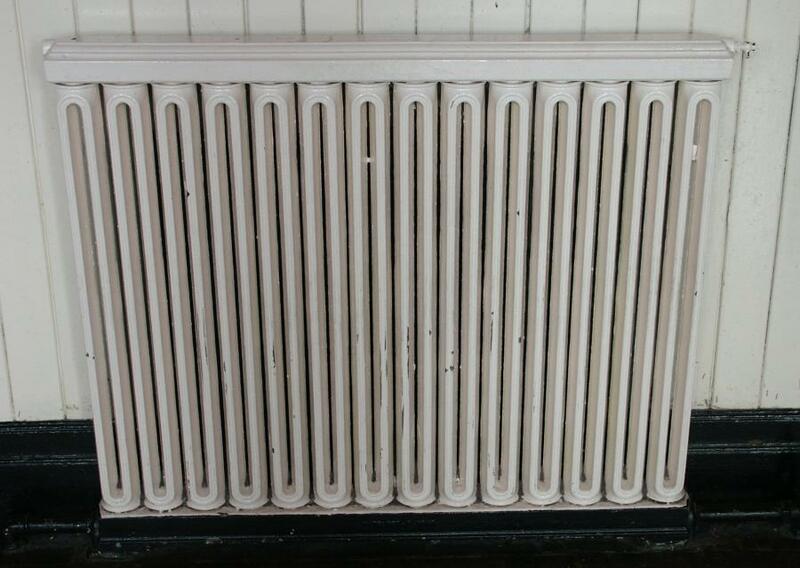 They can be refurbished to customers requirements.A very good hall or bathroom radiator.They can be mixed with other styles.Please see my other adverts for examples of other radiators and further information. 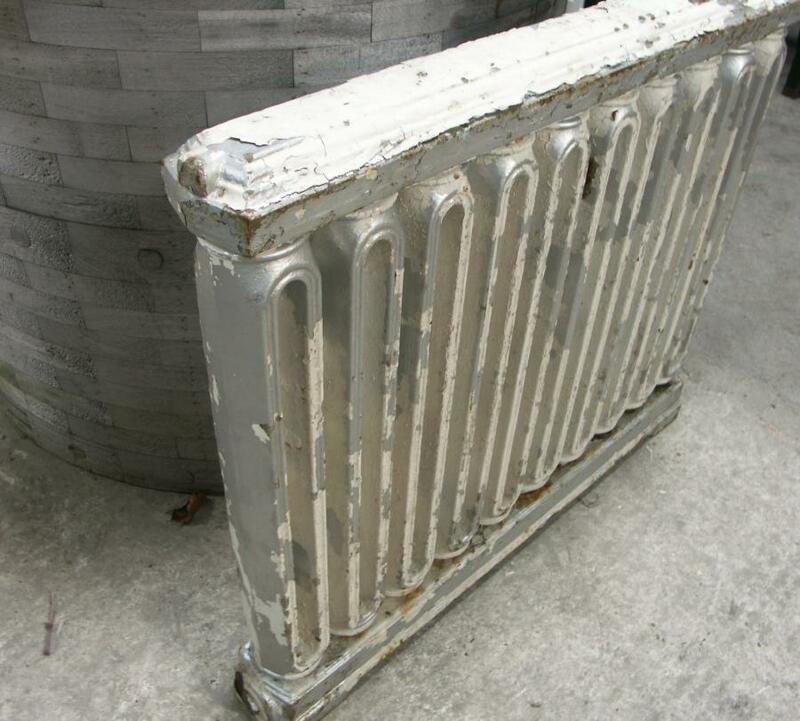 I can help customers choose a set of radiators tailered to their needs and do all the restoration and arrange transport. More pictures/ closeups on request.